The dust has settled on the bidding war for Quentin Tarantino’s next film, with Sony Pictures emerging victorious (per Variety). 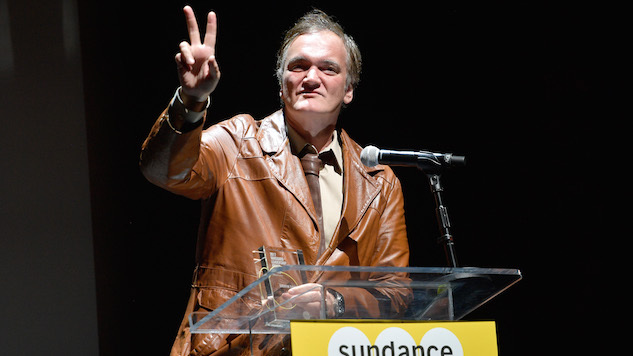 Beating out the likes of Warner Bros. and Paramount, Sony has distribution rights for Tarantino’s untitled film that will focus on the year 1969, originally reported to be about the Manson Family murders from that year. Tarantino has since clarified that the murders will be more of a backdrop than the primary focus of the film. The courtship for the film’s rights had Sony studio chief Tom Rothman and his team aggressively touting the studio’s ability to market the film and distribute it internationally. The bid went through despite concerns from other competing studios about the subject matter of the film, the hefty $100 million budget and Tarantino’s demands of first dollar gross and final cut privilege. This film will be Tarantino’s ninth, with the writer-director repeatedly claiming that he will retire from filmmaking after his tenth film. His eighth film, The Hateful Eight, did well with critics but fell short of box office expectations, grossing $155.8 million worldwide with a budget of $55 million. His previous films Inglourious Basterds and Django Unchained had returns of $321.5 million and $425.4 million, respectively. Expect production on the not-Manson-Family film to begin in mid-2018 for a 2019 release.